Among 64,000 people surveyed in thirteen nations, two thirds feel the world would be a better place if men thought more like women. This marks a global trend away from the winner-takes-all, masculine approach to getting things done. 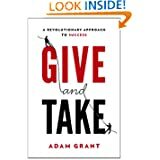 Drawing from interviews at innovative organizations in eighteen nations and at Fortune 500 boardrooms, the authors reveal how men and women alike are recognizing significant value in traits commonly associated with women, such as nurturing, cooperation, communication, and sharing. The Athena Doctrine shows why femininity is the operating system of 21st century prosperity. 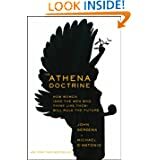 Brought to life through real world examples and backed by rigorous data,The Athena Doctrine shows how feminine traits are ascendingâ€”and bringing success to people and organizations around the world. By nurturing, listening, collaborating and sharing, women and men are solving problems, finding profits, and redefining success in every realm. My Next Step is a remarkable memoir of one man coming face to face with the darkest moments of his life and how, through his own drive and the unwavering support of family and friends, he never succumbed to despair. Dave Liniger had it all: four successful children, a lifetime filled with adventure, and a company heâ€™d founded, RE/MAX, that became one of the most prominent real estate brands in the world and made him a success beyond his wildest dreams. He had served in the Vietnam War, parachuted out of planes, raced cars, and once even attempted to circumnavigate the world in a balloon. And then overnight his full and varied life almost came to an abrupt end. Doctors discovered he had a horrific staph infection along his spine that left him paralyzed from the neck down and in excruciating pain. 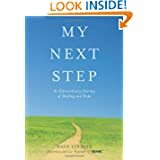 My Next Step chronicles how Dave found reserves of strength to fight through his pain. 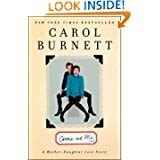 He drew inspiration from his wife, Gail, who had shown incredible grace and courage during her recovery from a tragic airplane crash twenty-nine years earlier. His guiding light was the mantra, â€œJust 10 steps.â€ If he could take 10 steps, he could take 20. If he could take 20, he could walk a mile. After three critical surgeries and six grueling months in the hospital, Dave finally returned home. He continues to heal, but is back running the company he loves and getting stronger every day. My Next Step will inspire those facing tragedy to find the courage to accept their situation and do whatâ€™s necessary to take the next step toward a meaningful life. Bestselling author Lisa Scottoline has thrilled millions with her emotionally-charged novels that feature strong women exploring the boundaries of family, justice, and love. In Donâ€™t Go, she breaks new ground and delivers the story of a soldier who discovers what it means to be a man, a father, and ultimately, a hero. When Dr. Mike Scanlon is called to serve as an army doctor in Afghanistan, heâ€™s acutely aware of the dangers heâ€™ll face and the hardships it will cause his wife Chloe and newborn baby. And deep inside, he doesnâ€™t think of himself as a warrior, but a healer. However, in an ironic turn of events, as Mike operates on a wounded soldier in a war-torn country, Chloe dies at home in the suburbs, in an apparent household accident. Devastated, he returns home to bury her, only to discover that the life he left behind has fallen apart. 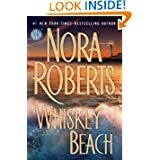 His medical practice is in jeopardy, and he is a complete stranger to the only family he has left – his precious baby girl. Worse, he learns a shocking secret that sends him into a downward spiral. Ultimately, Mike realizes that the most important battle of his life faces him on the home front and heâ€™ll have to put it all on the line to save whatâ€™s dearest to him â€“ his family. 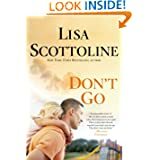 Gripping, thrilling, and profoundly emotional, Donâ€™t Go is Lisa Scottoline at her finest. 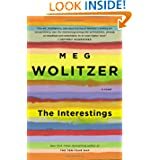 From Lauren Graham, the beloved star of Gilmore Girls and Parenthood, comes a witty, charming, and hilariously relatable debut novel about a struggling young actress trying to get aheadâ€•and keep it togetherâ€•in New York City. career like her idols Diane Keaton and Meryl Streep. Not just yet. But while she dreams of filling their shoes, in the meantime, sheâ€™d happily settle for a speaking part in almost anythingâ€”and finding a hair product combination that works. Everything is riding on the upcoming showcase for her acting class, where sheâ€™ll finally have a chance to perform for people who could actually hire her. And she canâ€™t let herself be distracted by James Franklin, a notorious flirt and the most successful actor in her class, even though heâ€™s suddenly started paying attention. Meanwhile, her bank account is rapidly dwindling, her father wants her to come home, and her agent doesnâ€™t return her calls. But for some reason, she keeps believing that she just might get what she came for. 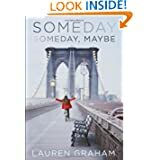 Someday, Someday, Maybe is a story about hopes and dreams, being young in a city, and wanting something deeply, madly, desperately. Itâ€™s about finding love, finding yourself, and perhaps most difficult of all in New York City, finding an acting job. Victoria McQueen has a secret gift for finding things: a misplaced bracelet, a missing photograph, answers to unanswerable questions. On her Raleigh Tuff Burner bike, she makes her way to a rickety covered bridge that, within moments, takes her wherever she needs to go, whether itâ€™s across Massachusetts or across the country. Charles Talent Manx has a way with children. He likes to take them for rides in his 1938 Rolls-Royce Wraith with the NOS4A2 vanity plate. 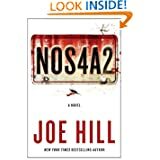 With his old car, he can slip right out of the everyday world, and onto the hidden roads that transport them to an astonishing â€“ and terrifying â€“ playground of amusements he calls â€œChristmasland.â€ Then, one day, Vic goes looking for troubleâ€”and finds Manx. That was a lifetime ago. Now Vic, the only kid to ever escape Manxâ€™s unmitigated evil, is all grown up and desperate to forget. But Charlie Manx never stopped thinking about Victoria McQueen. Heâ€™s on the road again and heâ€™s picked up a new passenger: Vicâ€™s own son. Forensic sculptor Eve Duncanâ€™s mission is to bring closure to the families whose loved ones have vanished.Â She knows their anguishâ€”her own beloved daughter, Bonnie, was taken from her when Bonnie was just seven years old.Â It is only recently that this mystery was resolved and Eve could begin her journey to peace.Â Now, Jim Doane wants the same kind of answers that Eve always longed for.Â His twenty-five-year old son may or may not be dead and he has only burned skull fragments as possible evidence.Â But he cannot go to the police for answers without risking his own secrets and dark past, so instead he chooses a bold step to find the truthâ€”a truth that takes Eve down a twisted path of madness and evil and into the darkest heart of her own history.Â Doane needs Eve Duncanâ€™s skills and heâ€™ll do anything to get them. Filled with details first recorded in the journals Knox kept while in Italy, Waiting to Be Heard is a remarkable story of innocence, resilience, and courage, and of one young womanâ€™s hard-fought battle to overcome injustice and win the freedom she deserved. 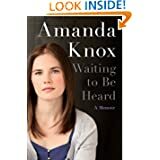 With intelligence, grace, and candor, Amanda Knox tells the full story of her harrowing ordeal in Italyâ€”a labyrinthine nightmare of crime and punishment, innocence and vindicationâ€”and of the unwavering support of family and friends who tirelessly worked to help her win her freedom. Waiting to Be Heard includes 24 pages of color photographs. The most momentous change in American warfare over the past decade has taken place away from the battlefields of Afghanistan and Iraq, in the corners of the world where large armies canâ€™t go. 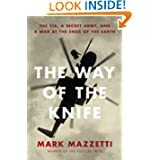 The Way of the Knife is the untold story of that shadow war: a campaign that has blurred the lines between soldiers and spies and lowered the bar for waging war across the globe. America has pursued its enemies with killer drones and special operations troops; trained privateers for assassination missions and used them to set up clandestine spying networks; and relied on mercurial dictators, untrustworthy foreign intelligence services, and proxy armies. 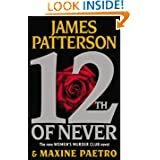 In this superbly accomplished new Charlotte and Thomas Pitt adventure, Anne Perry takes us beneath the glittering surface of wealthy Victorian society into a nightmare world of fear and intimidation, where women are too often blamed for the violent attacks against them, and powerful men take what they want, leaving others to pay the price. culture rife with hidden dangers. 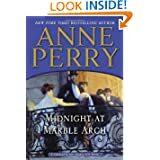 In this rich, emotionally charged masterpiece, Anne Perry exposes yet another ugly secret of Victoriaâ€™s proud empire. And in a courtroom battle of unparalleled brilliance, we thrill at the chance to witness a massive wrong righted. on-the-ground leader of the Patriot cause and is fated to die at Bunker Hill. 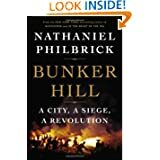 under siege as both sides play a nervy game of brinkmanship for control.With passion and insight, Philbrick reconstructs the revolutionary landscapeâ€”geographic and ideologicalâ€”in a mesmerizing narrative of the robust, messy, blisteringly real origins of America. A Boston lawyer, Eli has weathered an intense year of public scrutiny and police investigations after being accused ofâ€”but never arrested forâ€”the murder of his soon-to-be-ex wife. “Sometimes you stumble across a treasure when you’re looking for something else entirely.”#1 New York Times bestselling author Susan Wiggs brings readers to the lush abundance of Sonoma County in a novel of sisters, friendship and how memories are woven like a spell around us.Tess Delaney makes a living restoring stolen treasures to their rightful owners. People like Annelise Winther, who refuses to sell her long-gone mother’s beloved necklaceâ€”despite Tess’s advice. To Annelise, the jewel’s value is in its memories.But Tess’s own history is filled with gaps: a father she never met, a mother who spent more time traveling than with her daughter. So Tess is shocked when she discovers the grandfather she never knew is in a coma. And that she has been named in his will to inherit half of Bella Vista, a hundred-acre apple orchard in the magical Sonoma town called Archangel.The rest is willed to Isabel Johansen. A half sister she’s never heard of. 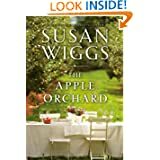 From one of America’s most beloved writers, The Apple Orchard is a story of family tiesâ€”both old and newâ€”and of the moments that connect our hearts. Stone Barrington is no stranger to schemes and deceptions of all stripesâ€”as an attorney for the premier white-shoe law firm Woodman & Weld, heâ€™s seen more than his share. 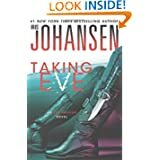 But when he travels to Europe under highly unusual circumstances, Stone finds himself at the center of a mystery that is, even by his standards, most peculiar. Two unexpected invitations may be the first clues in an intricate puzzle Stone must unravel to learn the truth . 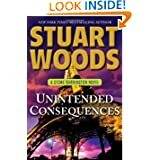 . . a puzzle that will lead him deep into the rarefied world of European ultrawealth and privilege, where billionaires rub elbows with spooks, insider knowledge is traded at a high premium, and murder is never too high a price to pay for a desired end. It soon becomes clear that beneath the bright lights of Europe lurks a shadowy underworld . . . and its only rule is deadly ambition.